Shares in the maker of Rubbermaid goods and Sharpie pens plunged 20 pct, wiping $3 bln off its value, after it said it would offload nearly a quarter of its businesses, some bought only recently. A tighter focus is overdue, but struggling retailers could make the cleanup harder. 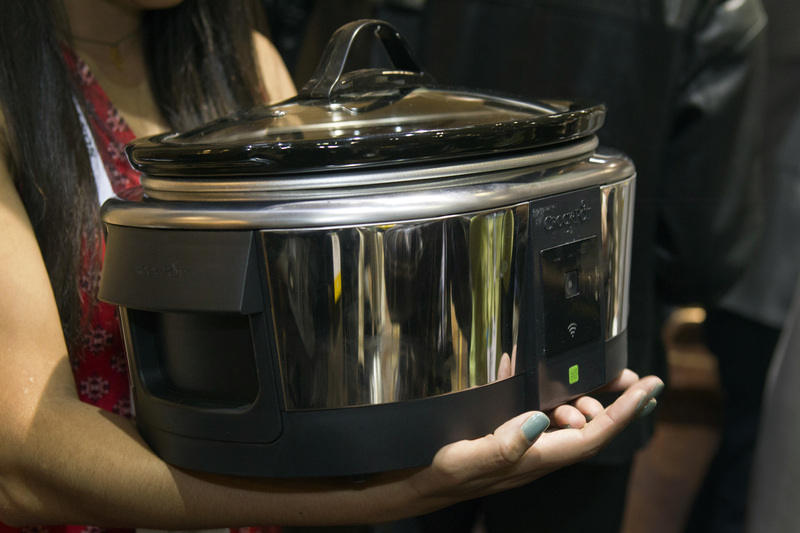 A Belkin Crock-Pot WeMo Smart Slow Cooker ($99.99) is displayed during "CES Unveiled," a media preview event to the annual Consumer Electronics Show (CES), in Las Vegas, Nevada, January 5, 2014. Newell Brands on Jan. 25 said it would explore strategic options for its industrial and commercial-product subsidiaries as well as smaller consumer businesses such as Rawlings athletic goods and U.S. Playing Cards. The company said it would focus on nine core consumer divisions with some $11 billion in annual sales and $2 billion in EBITDA. The restructuring should reduce the number of the company’s worldwide factories and warehouses by about 50 percent. Newell also announced a shakeup for its board of directors. Separately, the company lowered its forecast for normalized earnings per share for 2017 to a range of $2.72 to $2.76, down from $2.80 to $2.85 previously. It said core sales would be up about 0.8 percent, compared with previous guidance of 1.5 percent to 2 percent. Inventory rebalancing by retailers and the bankruptcy of Toys R Us affected sales, it said. The company’s shares were down nearly 22 percent at $24.50 in afternoon trading.